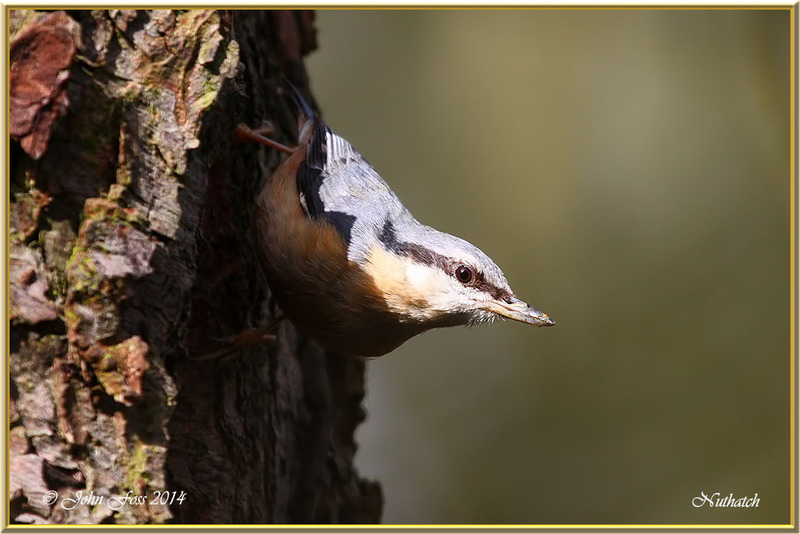 Nuthatch - These are typical poses for a Nuthatch as being ever alert when creeping up or down the bark of a tree. 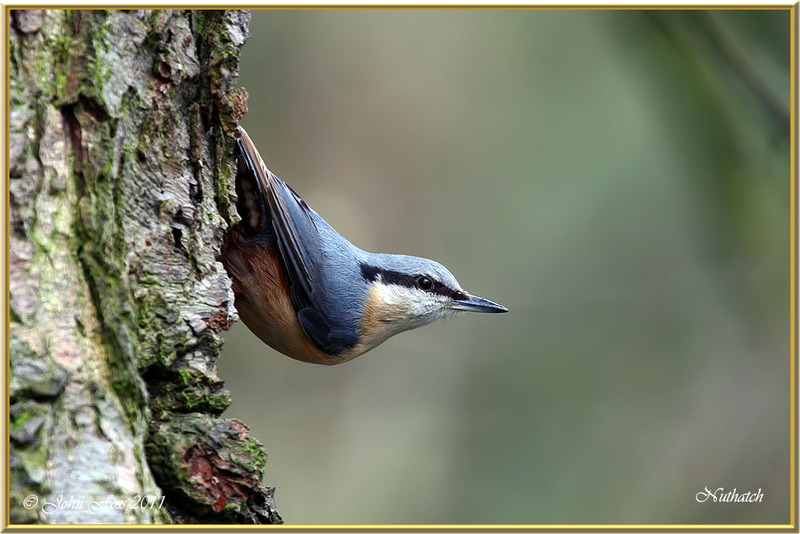 It nests in holes in trees and conceals the entrance by gradually filling the sides with mud so that it keeps out other birds and leaves just enough room for it to enter. 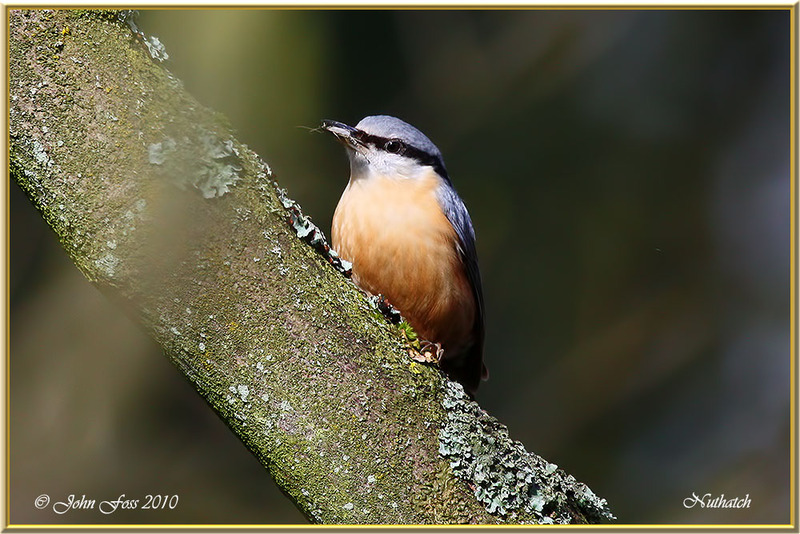 The diet includes insects, seeds and nuts. Visits garden feeders in winter. Will store food in the autumn for retrieval in the winter months. Not resident in Ireland. 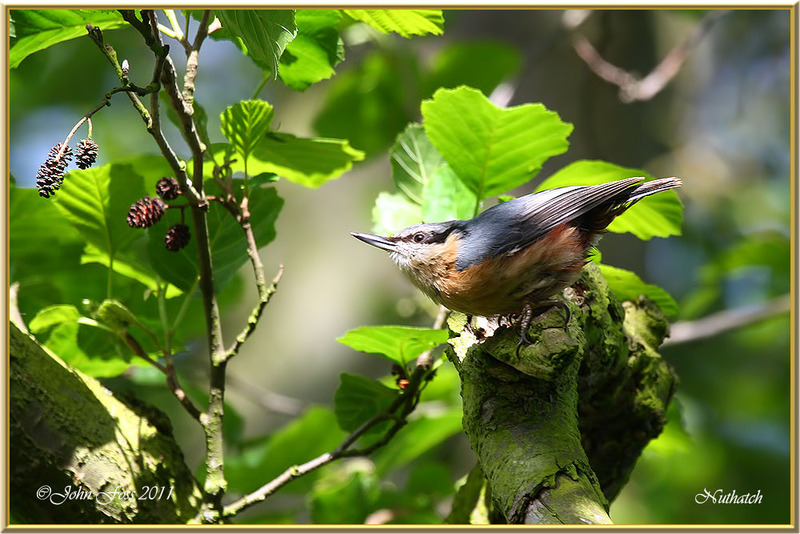 Photographs taken in Allestree Park Derby England.